An Identification Report, with geographic origin added. For polished, rough, loose or mounted natural ruby, sapphire, emerald, Paraíba tourmaline, red spinel and alexandrite only. 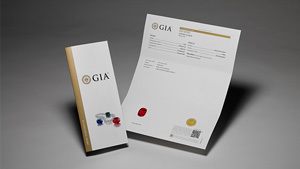 GIA Add-On Services give you further information or security for your colored stone. 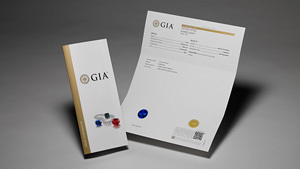 GIA Specialty Services offer further analysis and information on your noteworthy colored stones. GIA Batch Services utilize GIA-developed technology to analyze and sort colored stones based on varying test types.